Has the age of free-thinking robots arrived? Has artificial intelligence evolved to the point at which computers can actually fix themselves? Not quite. But sometimes, in some ways, it can feel as though this is what is happening. The cyber world moves at a pace that most people cannot comprehend, and technology is being developed at such a rapid rate, they can hardly keep up. With the reliance people have on their computerized lives, they cannot afford any glitches to interrupt the service they need from our computer systems, or their competitors will overtake. Furthermore, mistakes can be dangerous. Imagine if air traffic control computers were not monitored rigorously and an error went undetected. This kind of mistake could be fatal. Almost every modern business is run by computers these days, and while not all of them have millions of lives dependent on them every day, like air traffic control systems, it would be reassuring for business owners to know that their computer systems are being monitored with the same degree of vigilance. Businesses searching for IT services in Miami will be happy to discover that this level of services is available at Telx Computers. Telx Computers, an industry leader in Miami computer services, announces new monitoring regimes to ensure computer problems are fixed so fast that users are never even aware of them. Thanks to the dedicated servers and expert computer engineers at Telx Computers, problems are fixed before they develop into issues that could affect the end user. 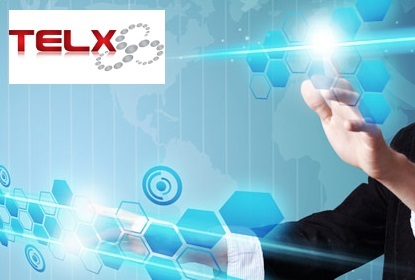 By constantly checking everything that is happening on the servers, and by keeping up to date with any software upgrades and virus alerts, the Telx Computer engineers can ensure that users are hardly even aware that any changes or upgrades have been made. For those end users, it will almost feel as if the computer can think for itself and do its own repairs and upgrades. The goal of Telx Computer engineers is to receive no service calls at all, to fix problems so fast that users never actually know they have occurred. For these customers, looking for computer repairs in Miami will become a thing of the past, as they will hopefully never be aware of the need for repairs. With a service contract from Telx Computers, business owners will have one less thing to worry about. The purpose of a service contract is to ensure that the company employees never have to think about computer repairs and upgrades, because everything will be done behind the scenes. Telx Computers has an ever-increasing number of satisfied customers, and this is one of the many reasons why it is considered to be among the very best IT companies in Miami.